Caption: The power of the future is your education. 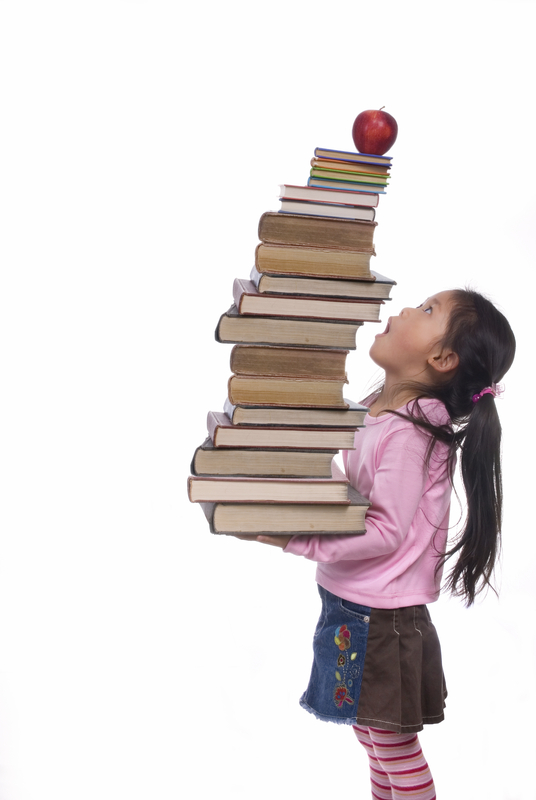 A young girl hold a tall tower of books. The weight of education.